You might have seen a photo puzzle before, but nothing like this! 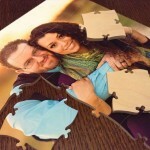 Our customized photo guestbook puzzle is printed on ¼” birch wood and then hand-cut for the highest quality. This guestbook will last for years to come. 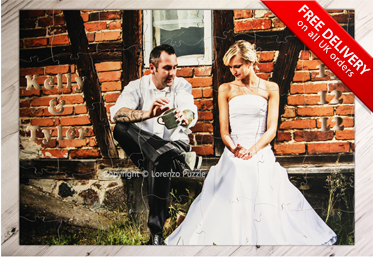 Perfect for weddings, birthdays, family reunions, or anniversaries, this custom jigsaw puzzle is the perfect way to commemorate a special event in your life. Make a unique and fun experience that both you and your guests will remember! In addition to the photo of your choice, this wedding guest book puzzle features custom pieces including your name(s) and the date of the event. Guests will sign the back of each piece with our specialty pens (two provided) to offer their well wishes to the happy couple. 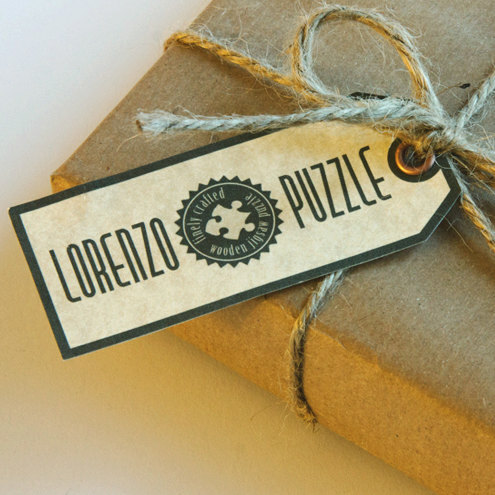 After the event, simply frame the puzzle to create a lasting display of celebration – or complete the puzzle together each year to celebrate your anniversary! Q: WHAT RESOLUTION DOES THE IMAGE NEED TO BE?